The organisers of the Mullum Mullum Festival are all volunteers and the festival could not be held without the wonderful people who give their time to organise the festival each year, during the year, in the weeks leading up to the festival and during the weekends of the festival. They have very much enjoyed organising the festival and have learned a lot, however they would not be able to do it without the assistance of volunteers. People who are volunteering for the coming festival are: Les Smith – Pam French – Amanda Calleja – Gary Cohen -Lindy Damoulakis – Jim Le Cornu – Howard Tankey – Hugh Venables – Magda Teewen and David Crawford – will you join them? writing grant applications – formulating a risk management plan – brainstorming – keeping the books-writing up the minutes for the meetings -preparing advertising – inviting the walk leaders and presenters – entering information into websites and newsletters – delivering brochures – maintaining mail-out lists – giving advice – IT support- networking – running countless errands -website administration – liaising with all sorts of people and organisation – stuffing envelopes – setting up for opening day celebrations – being interviewed on radio – being interviewed for local newspapers – sourcing walk leaders and presenters – sourcing food- logistics – sourcing decorations -accompanying walks – preparing the brochure – sourcing photographs- sourcing performers – delivering brochures – collecting materials for opening day… responding to e-mails and many other things. Join the festival organising committee or volunteer in other ways. If you would like to join us to assist in organising the next Mullum Mullum Festival, we would love to hear from you! Ideally you are someone with an interest in environmental conservation, sustainability and or Indigenous issues who lives not too far away from the Mullum Mullum Valley. You will have the opportunity to work with other people who have similar passions and interests in aspects of ecology, sustainability and Indigenous heritage. Meetings are usually held at the Yarran Dheran Information centre in Mitcham. We would like to have more souls on the committee who will bring their skills, knowledge, enthusiasm and passion for the environment and Indigenous issues. You would become a member of a good and supportive team. We welcome local-ish people from all ages and backgrounds with all kinds of skills, as well as people who are willing to broaden their skill-base and knowledge or to learn completely new things. or call 03 97197661 to request a copy of the membership application form. 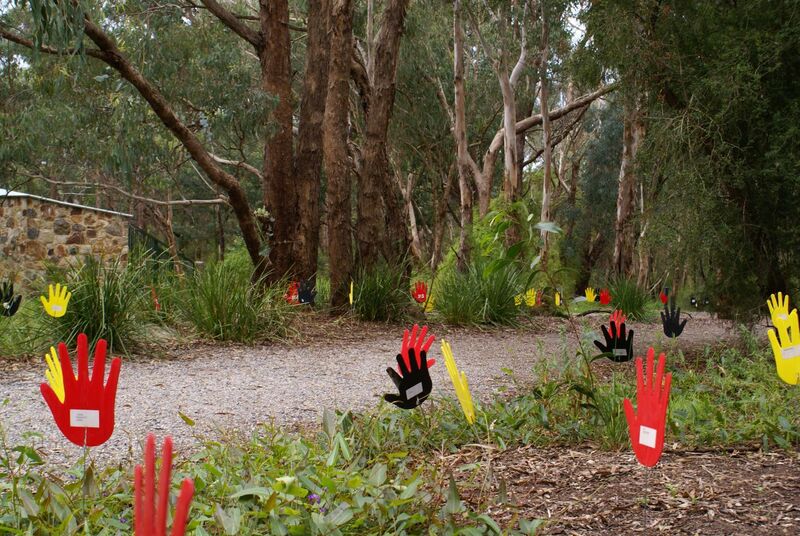 The Mullum Mullum Creek Valley needs your assistance! Learn what you can do to help us preserve this beautiful piece of native Australian bushland. Details of local reconciliation groups can be found at: http://www.reconciliationvic.org.au/local-reconciliation-groups.php.